I love the kind of non-fiction picture books that make you cry. But also the kind that inform and dazzle. 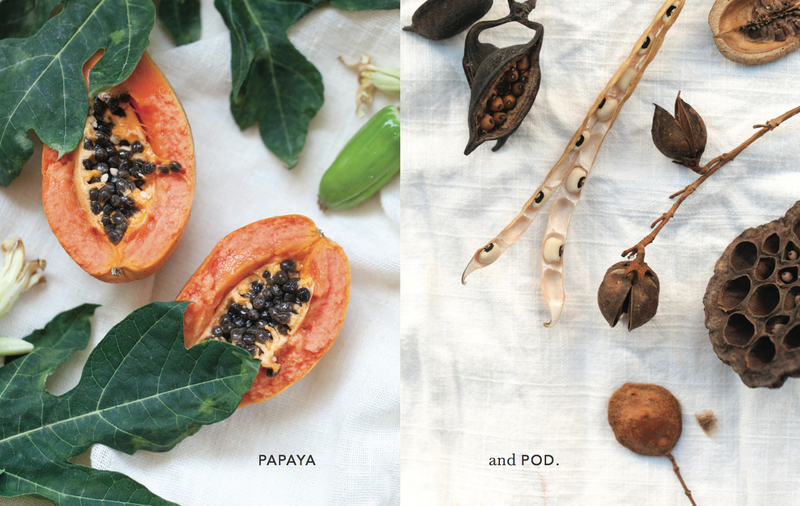 Here are a few of those about the natural world that will enlighten, enchant, and knock those socks right off! 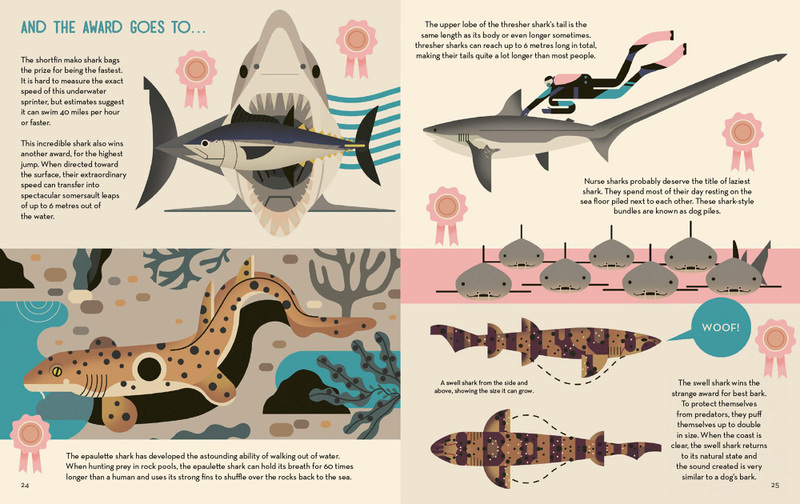 Mad About Monkeys (2015) and Smart about Sharks (2016) by Owen Davey. I adored the first book and the follow up. 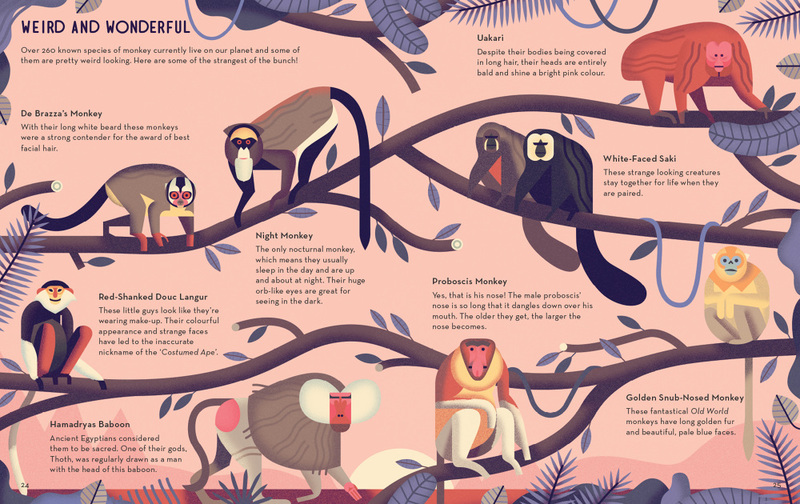 Each of these is a compendium on its subject told and illustrated in fascinating ways; both include information about challenges facing each species. I can’t recommend this pair highly enough. What will knock your socks off? The combination of stylish design and spellbinding information. 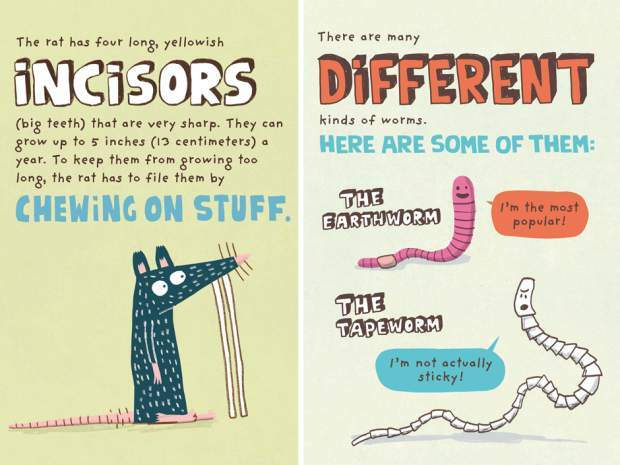 The Disgusting Critters series by Elise Gravel (2016). Rats and lice have never been so charming. Each narrator introduces you to one critter-kind by way of hilarious spreads with at least one attribute to learn and at least one joke to laugh at (from the critter herself). Not to mention, the art is bold, vivid, and engaging. What better way to learn about the creatures who’ve been relegated to repulsive, but are anything but boring. What will knock your socks off? The concept and humor. A Beauty Collected by Rachel Garahan (2016). A beauty indeed. 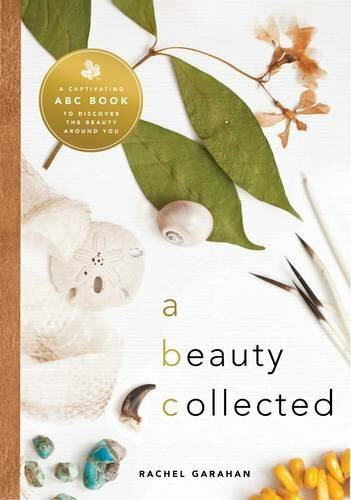 This is an ABC, from aloe to bougainvillea to coconut and beyond. 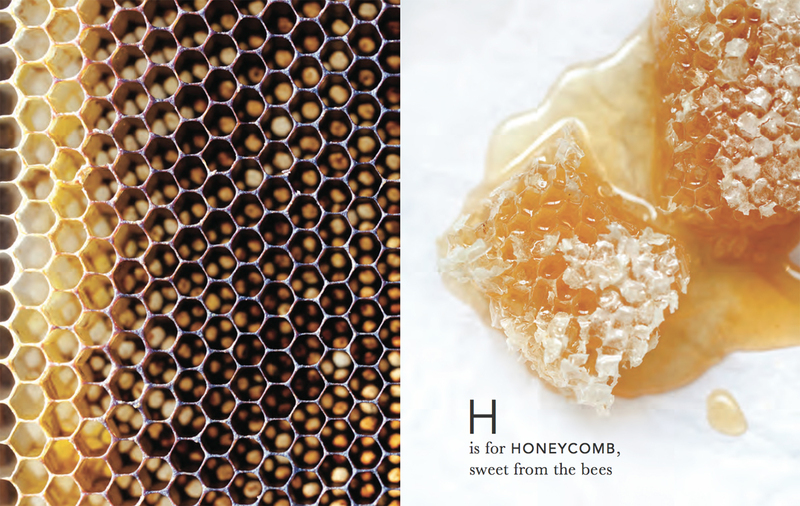 Each page has exquisite photos of elements of the natural world, some familiar, some perhaps new additions to a child’s vocabulary. 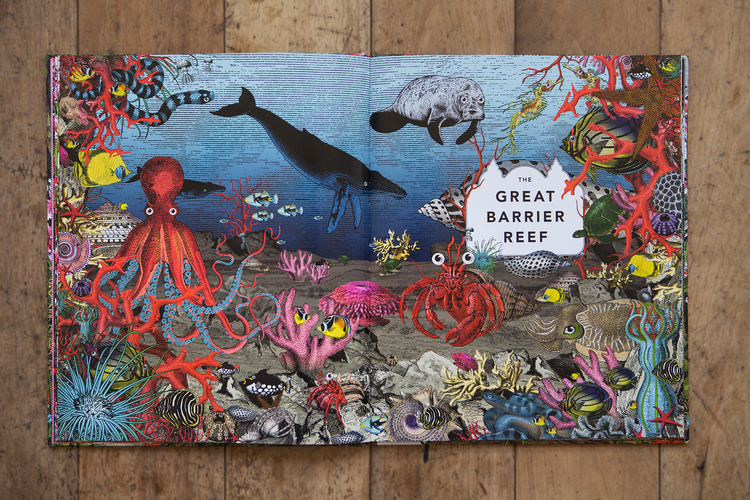 But this is a book for any age to bask in the amazing stuff of nature told in lovely rhyme. What will knock your socks off? Those photos. 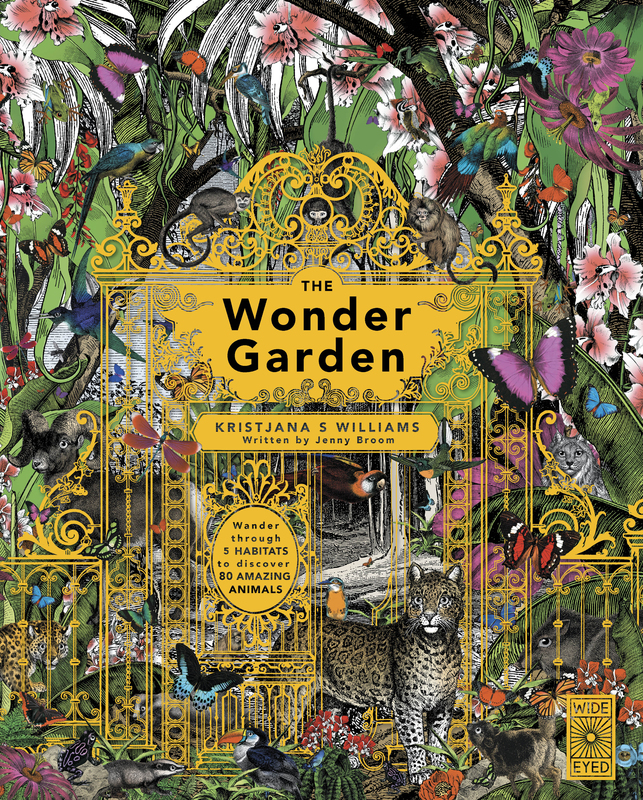 The Wonder Garden by Jenny Broom and Kristjana S. Williams (2015). The Wonder Garden showcases extraordinary flora and fauna on Earth: five amazing habitats and 80 of the incredible animals that live there. What will knock your socks off? The technicolor illustrations. 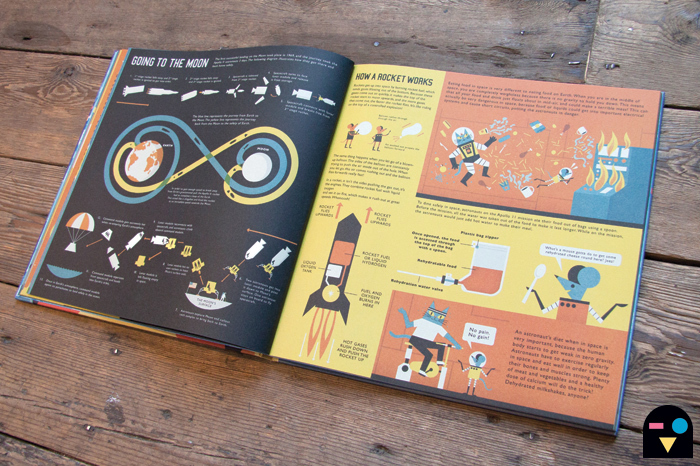 Professor Astro Cat’s Frontiers of Space by Dominic Walliman and Ben Newman (2013). I definitely want an Astronaut-Cat-Professor teaching me about space and stars and the speed of light. Don’t you? 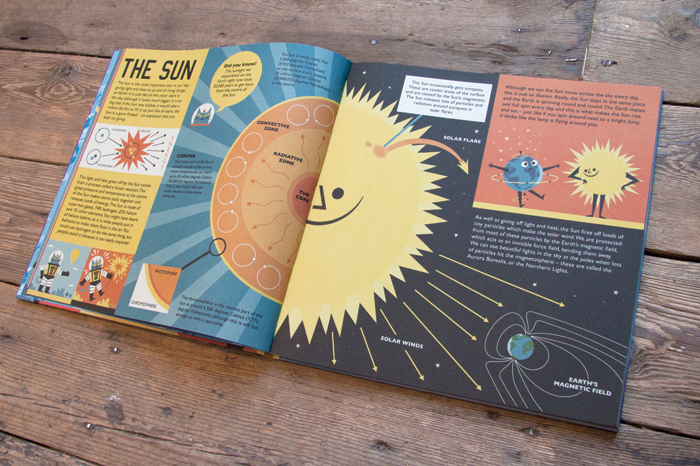 Inventive and overall stunning, this is the book about the universe to own. What will knock your socks off? Having Professor Astro Cat as your guide. And now, two non-fiction giveaways for you! 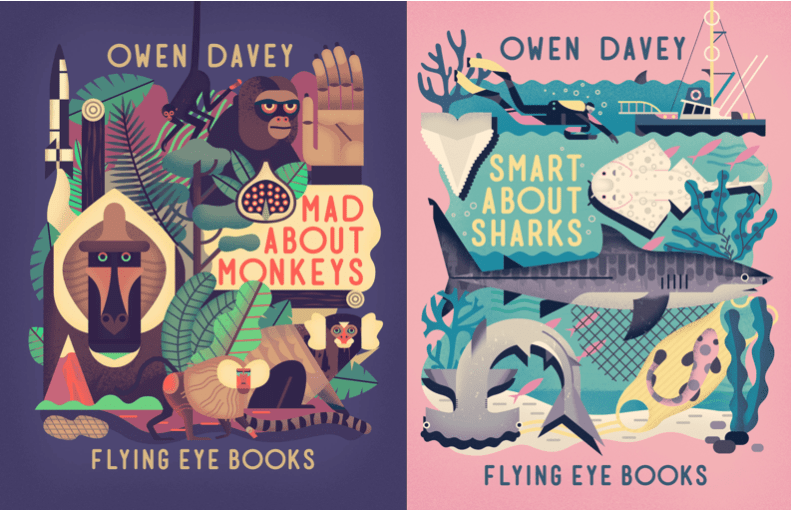 First up, Mad About Monkeys and Smart About Sharks by Owen Davey, courtesy of Flying Eye Books! One winner gets the set! 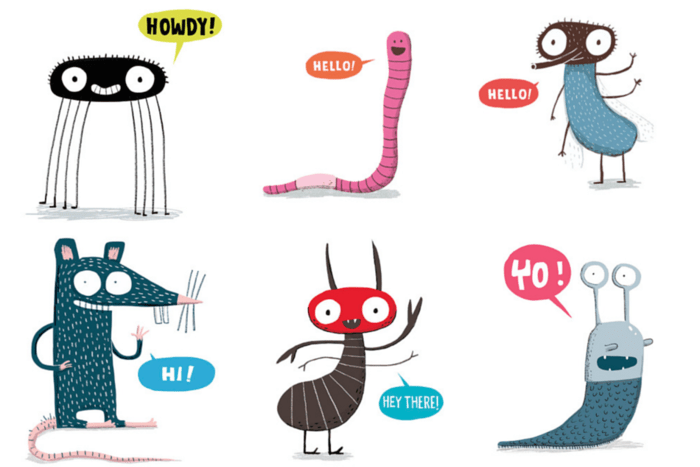 And a set of 6 from Elise Gravel’s Disgusting Critters series, the ones pictured here, thanks to Tundra Books. One winner gets all six paperbacks! Wow, everything Flying Eye puts out is a must-have, right? That said, I love the Dianna Hutts Aston/Sylvia Long books from Chronicle so much (A Rock is Lively, An Egg is Quiet, etc.). Flying Eye is superb, with a special knack for non-fiction stunners. Yes! And I love those books as well. Disgusting critters! I love it. My favorite disgusting critters are spiders, with the exception of brown recluses and black widows. Regular, run-of-the-mill house spiders are awesome. My favorite disgusting critter is a naked-mole rat. I just can’t look away at the zoo! HAH! 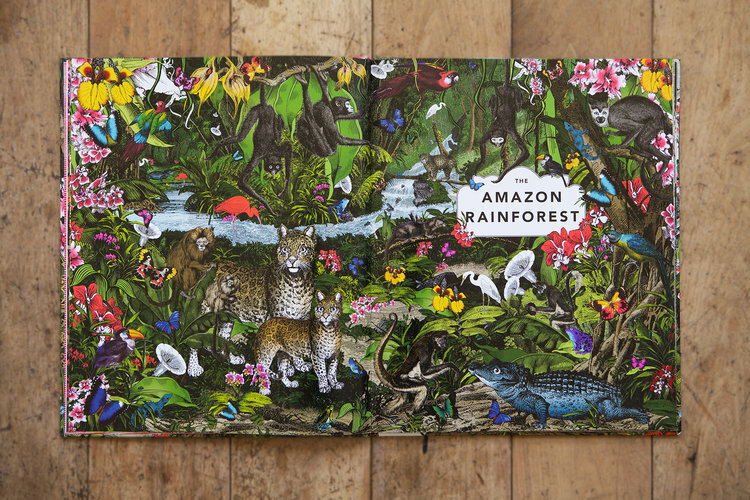 One of my favorite natural-world non-fiction picture books (wow, that’s a mouthful!) is Animalia. It’s sooo pretty. Hi! 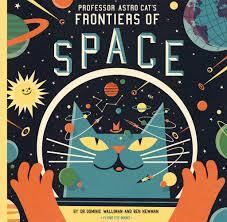 We have the Professor Astro Cat’s Frontiers of Space by Dominic Walliman and Ben Newman in Spanish and it’s so informative and so beautiful at the same time, a really good book and perfect for a present! My son would love Smart About Sharks by Owen Davey, I’m sure. All of these books are terrific! I especially love Elise Gravel’s Disgusting Critters series. Could she make these awful critters any more adorable? Thanks for shining your spotlight on these books and providing a give-away. I’ve read and enjoyed Owen Davey’s books! Their chock full of such interesting info! Thanks for introducing me to Elisa Gravel’s books–they look wonderfully funny! I was totally unaware of them. Can’t wait to read them! Those look great! I love “An Egg is Quiet” and “Looking Closely at the Shore…” series by Frank Serafini. There are some great non fiction titles out there! Couldn’t find the Frank Serafini title at my library—that’s a new one to me, so thank for mentioning it! Elise Gravel’s Disgusting Critters series is one of my favorites!! The Worm is my personal favorite, although they’re all great. Thanks for the chance to win such a great collection of books! Cheers to worms! Worms are pretty amazing. Oh my gorgeousness! I want all of then. I also want to learn how to spell: THEM. I use to work in the education department at the California Academy of Sciences. I had to read tons of non-fiction nature books… And most of them where extremely boring. Oh, so boring! And so devoid of magic. But look at these books: fun, beautiful, engaging. Yay for the publishers that make them possible! Disgusting Critters! We borrowed The Spider this summer and laughed a lot! Nature books fan! Thanks for bringing these fantastic looking titles to our attention. I love Mad about Monkeys!! I saw a picture of it on Instagram about an year back and I fell in love with the illustration style, it is so beautiful. Thank you for reminding me about it. Elise Gravel has such a cute and fun style. My favorite disgusting critter definitely is the Rat. I’ve had a secret fascination with them since I saw Ratatouille. But I’m pretty sure that if one of them ever tries to come close to me, I’ll just run away screaming. These are BEAUTIFUL! Seriously, how do you find such amazing stuff?! I love this collection of non-fiction. Thanks for the great suggestions. These are beautiful! I love when nonfiction picture books knock it out of the park!